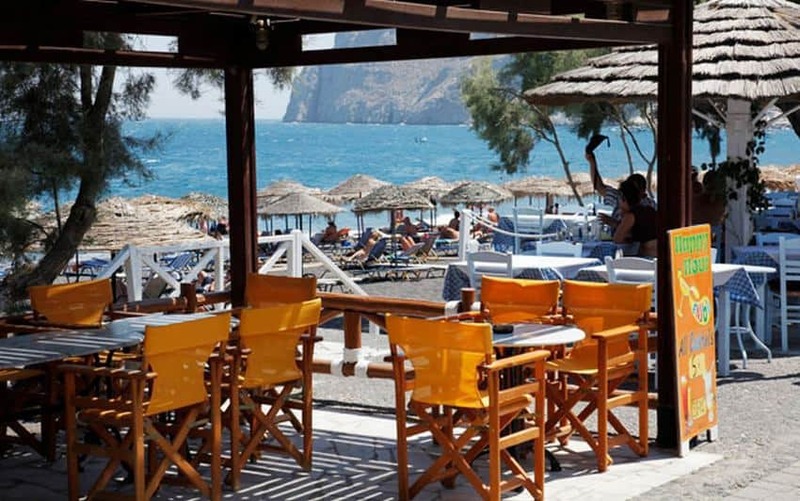 Kamari is a cosmopolitan beach resort and one of most popular on the island. Seemingly endless, the black volcanic sand perfectly contrasts the turquoise blue sea, creating a fantastic atmosphere. Kamari also offers a good nightlife selection with loads of club-bars lining the beach road. With the magnificent Mesa Vouno mountain in the background, the beach is the ideal place for a swim. The area offers a great landscape, especially at night when the rock is floodlit. 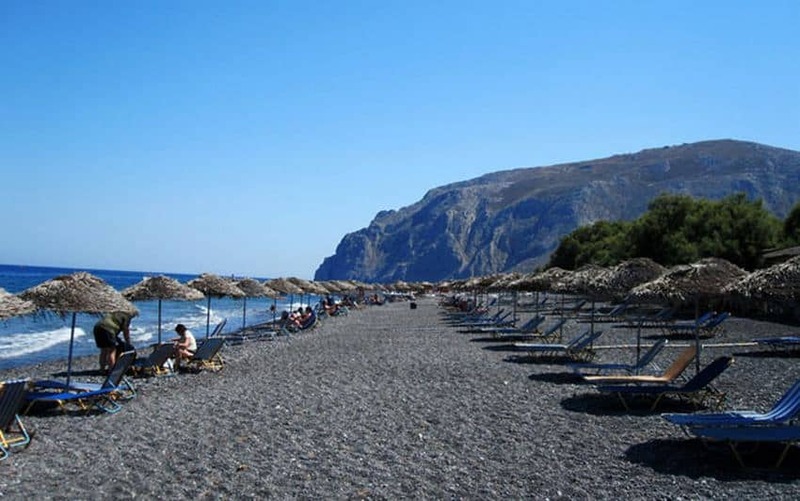 Description: Kamari beach has been awarded the Blue Flag. 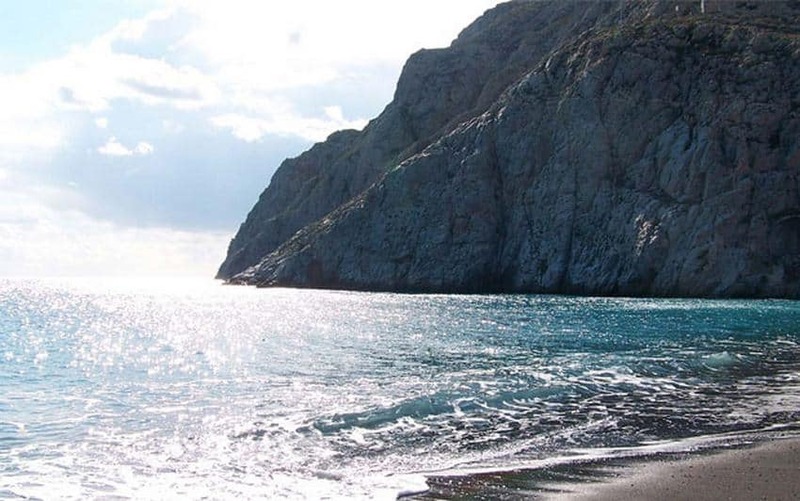 The long stretch of beach lies under the impressive mountain of Mesa Vouno. The beach is organized and there is a lifeguard on duty.